Storytelling is an integral part of who we are as human beings. Therefore, a love of books is something every child should share. Although your local preschool program won’t expect your child to be able to read prior to coming to the classroom, there’s a lot to be said for families who foster an early love of reading in their children. Approximately 80% of children who participate in preschool programs outperform their peers who do not attend a quality preschool program. But if your child enters preschool with an already established love for books, they’ll be well ahead of the curve. Let’s take a look at some of the ways that parents of preschool children can encourage early reading skills and an adoration of the written and spoken word in their kids. Visit Your Local Library: Reading can and should feel like an exciting adventure. What better way to set the scene than by making an event out of finding new books to read? Making regular visits to your local library can be an enjoyable and effective way to introduce your child to new worlds. Get to know your librarians, allow your child some autonomy in choosing the kinds of books you’ll read together, and make your trips a frequent part of your routine. Don’t forget to obtain a library card just for your little one! This can provide a sense of belonging, pride, and responsibility, as well as a love for books. Make Story Time an Event: Whether you attend story telling events at your local community center or make nightly reading sessions part of the bedtime regime, these occasions can make reading feel extra-special. If preschool children associate reading with pleasant feelings and experiences from early on, they’ll be more likely to love this activity throughout their lives. This can directly influence how your child later feels about reading aloud in class or how motivated they are to finish their reading for school. Plus, reading every night together can be a wonderful way to bond and to create fond memories. Interact During Reading Sessions: Reading to your child can provide a whole host of benefits, but reading with your child is even better. Your preschooler may not be able to sound out words on their own yet, but they can engage with the story and feel like an important part of the process. Your bedtime stories should feel interactive in nature. By asking your child to point out key objects in the accompanying illustrations featured in the story or discussing important points while you read, you can drive home these lessons and forge a real connection between your child and the material being covered. Choose Relevant Stories: While your child will probably have favorites they find at the library or that their teachers read to them at their local preschool, it’s often a good idea to use story time as a way to address relevant events in your child’s life. This can provide a way to explain tough concepts or to help your child sort through their emotions, as well as letting your child know that they aren’t alone and that you’re there to provide support. For example, reading books together about the issues surrounding preschool preparation, new siblings, moving to a new home, or losing a loved one can be a gentle and comforting way to introduce these ideas in a safe space. Once the time comes to take your child to their local preschool classroom or to adapt to a new environment, the lessons learned in these books will stay with them and encourage them to keep reading. 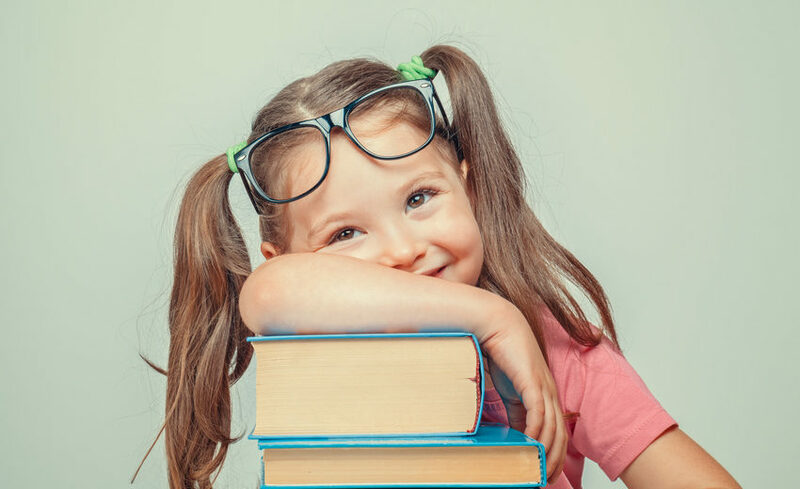 Although being able to read isn’t a prerequisite for preschool enrollment by any stretch, introducing your child to books from the start can set them up for lifelong success. Be sure to consult with staff members about the role of books in your local preschool classroom to ensure that reading and story time are prioritized in some way. At Lily Pond Country Day School, we pride ourselves on our interdisciplinary approach, which includes a focus on story time, letter recognition, and sound identification. Please contact us today to find out more!